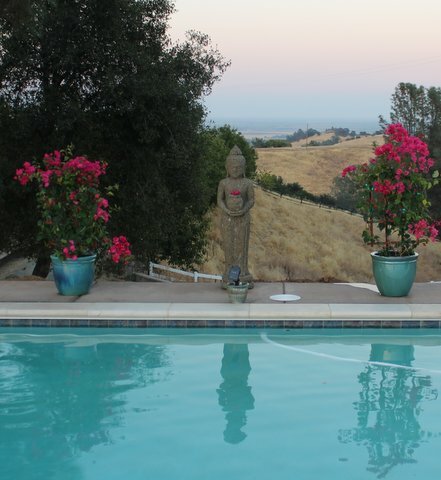 Tucked away in the hills of Vacaville is a European Style Hermitage called Silent Stay Retreat. The owners Bruce and Ruth Davis asked me to help them with their garden about two years ago. So every few months I come, I plant cultivate and nurture this sacred place. 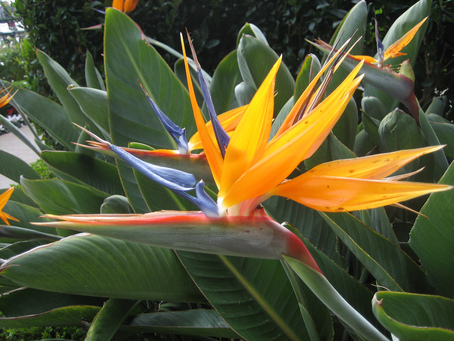 I would like to share the healing herbs, plants and fruits that grow at Silent Stay. They also have their own honey bees which I will be using for some of the recipes I will be sharing. There are a few memorable meals I had while living in France. One of them was when my friend Solange made figs broiled with goat cheese for me. He sprinkled provence herbs over them along with drizzled olive oil. 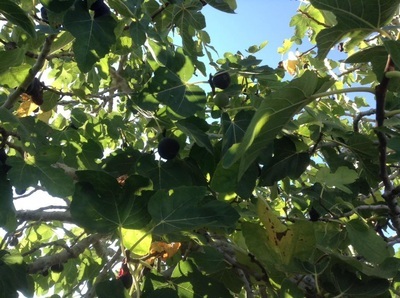 Today at Silent Stay Retreat I picked fresh figs from the tree. 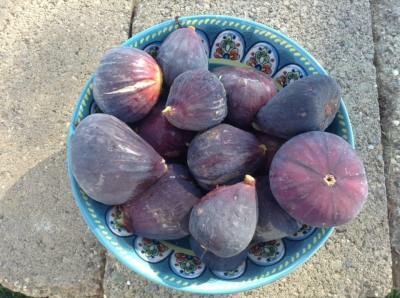 I actually have been going to the fig tree each morning, for breakfast, eating four or five figs and then working in the garden. No dishes to do. 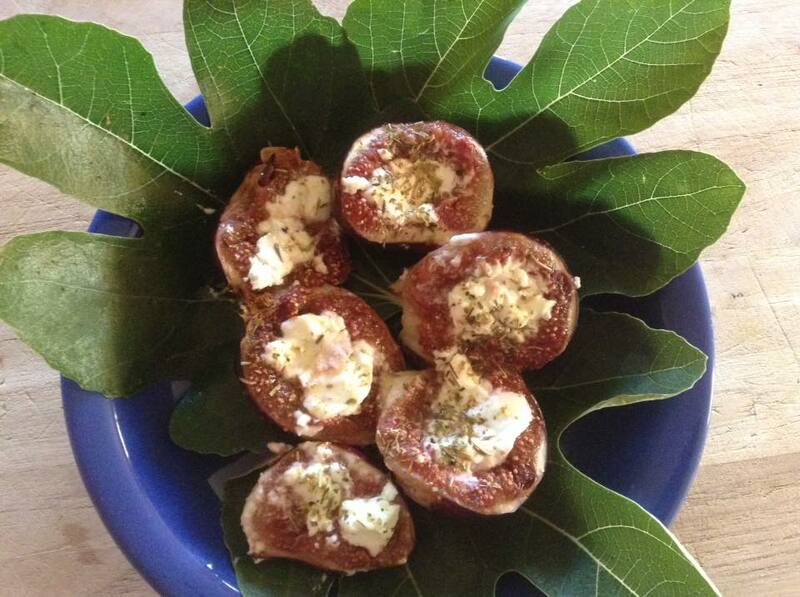 But tonight I tried my hand at Solange's recipe of broiled figs with goat cheese. There is something very ancient about this recipe. It is like the mating of the Nature Goddess and the God Pan. I broiled the figs first for about five minutes or until hot. I then take them out of the oven and spread soft goat cheese over the figs then drizzle olive oil and sprinkle Herbs de Provence over the cheese and broil a few minutes again Voila! I am here at Silent Stay Retreat Hermitage this week. I have been working on their garden here for over a 1 1/2 days now. Today as I was dead heading the lavender I decided to take my gloves off and hand pick the old buds off the plant. I wanted the lavender oils to touch my skin so I could benefit from the medicinal quality of Lavender. The more I dead head the more relaxed I became. I love the sweet silence the retreat offers. They also have their own bee hives and some of the sweetest honey Mother Nature could offer. One of the common fragrant beauties in France is Lavender. I love riding through the Lavender fields in Southern France when it blooms in early Summer. Lavender comes from the Latin word Lava, which means to wash. 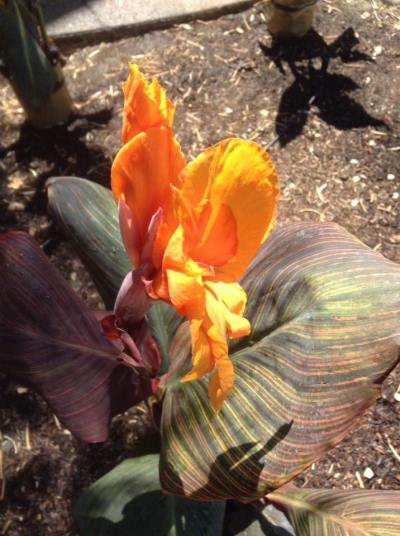 It was one of Mother Mary’s flowers, going by the name Mary’s Drying Plant. 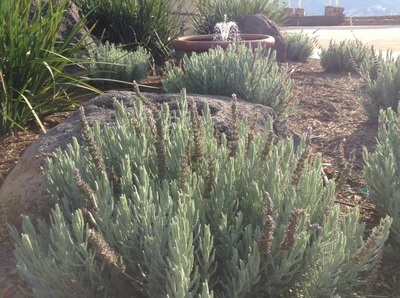 Lavender was used just like rosemary during Medieval Days. They would hang freshly washed clothes over the bushes to scent the laundry as it dried in the warm Mediterranean Sun. I must say there is nothing like a good bottle of Lavender oil tucked away in one’s pocket to help with stress. It helps to create calmness and just is an all around good essential oil. The essential oil industry is big business in the South of France. I once lived in the area very close to Grasses, the capital of perfume and essential oil business. I bought my essential oils from a man in a small store in Menton. 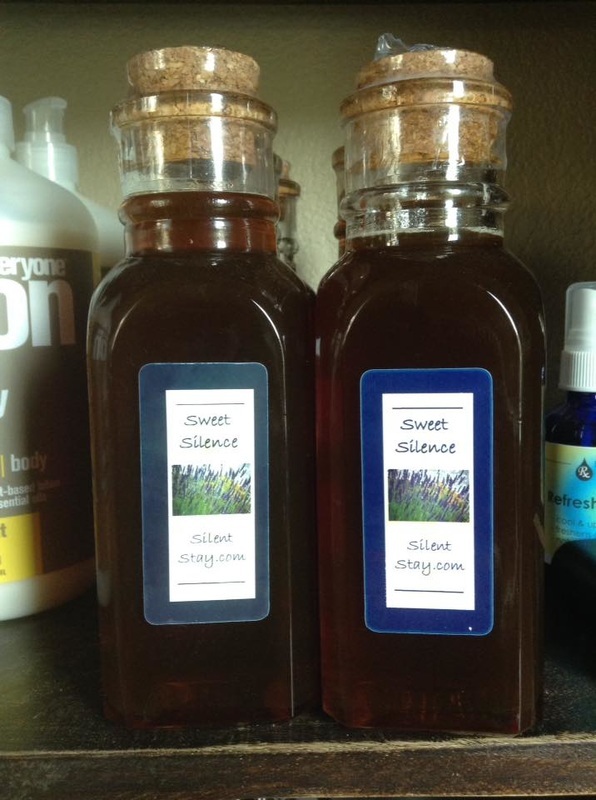 We would anxiously wait for the first pressing of the Lavender and the fresh oils would hit the shelves. But the way the essential oil business started in France was because of fashion, not for the medicinal properties of the oils. Catherine d’ Medici, born in Florence Italy, married Henry II , King of France in 1547. She was known for her fashion statements and she began to wear kid gloves scented with essential oils of Lavender or neroli oil. It became such a fashion rage between the nobles that the South of France began to create tanneries that would scent the leather gloves with essential oils. Fields and fields of Lavender began to be planted and extracting essential oils became an art form. But when the French Revolution began the Nobility with the lost of their heads began to flee the country. The tanneries were closed down since wearing scented gloves was a sign of nobility and you just did not want to be wearing scented gloves in those days. However, distilling essential oils continued for their healing effects and also for the pleasure of creating perfume. 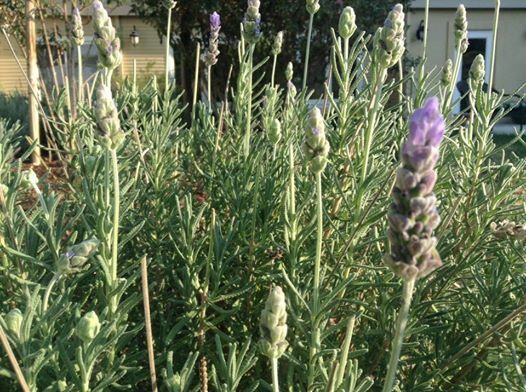 Lavender’s little flower teaches through the color purple, the color of transformation. This plant has ever-lasting quality since its flowers dry very nice and can be used in sachets. But the essential oil was also used by little old ladies. It teaches us how to age gracefully, just as the flowers of Lavender dry on their stock but still retain their essence within the smell. 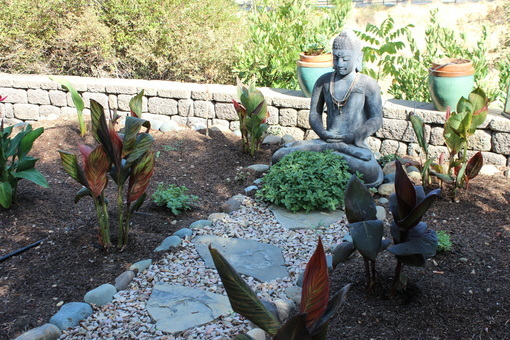 Today I plant the Buddha Garden at Silent Stay Retreat with Cana Lilies and Birds of Paradise. There a legend about Cana Lilies: one day Mara saw the Buddha on the road and just like Willie Coyote he pushed a rock from a high cliff to kill the Buddha. But the rock missed the Buddha but a small sliver of rock hit his big toe and the Buddha’s Blood went into the ground and up sprang the Cana Lily. 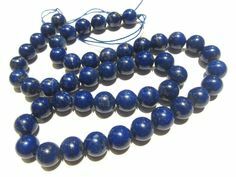 The hard black seeds of this plant are turned into prayer beads for males in India. 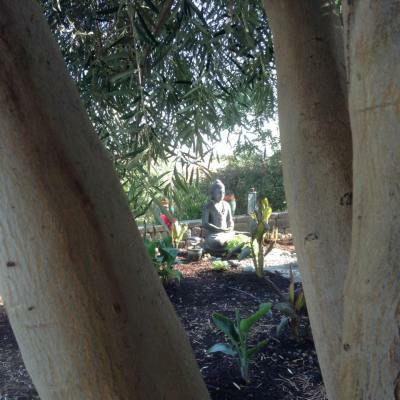 Our outdoor altars are from Bali, Indonesia and Assisi, Italy. The statues are made of volcanic stone and hand carved. The stone well was carved in Italy. All the altars are blessings and teach spiritual principals. She stands at the pool, holding a vase of holy water, making an offering of peace and purity to the water and all who swim in it. Her intention is to bless the inner essence of everyone and everything. This heals the hurts, stress and rushed aspect of life bringing us to our pure inner nature that is still, quiet and free. Water represents the vitality of life and creates an oasis from a desert, holy water washes away impurities and reveals the brightness of our being. It is used as a blessing to touch and heal all parts of us, this moment, this day, this lifetime. 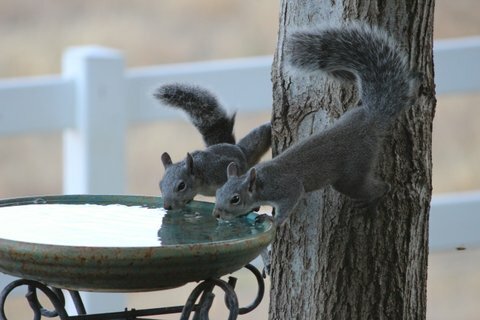 In the heart of the retreat center gardens is the giving well. This ancient hand carved stone well was brought from Assisi, Italy. The monasteries of Europe built their gardens around the ever giving well, a symbol of the ever flowing presence of love. This outer well mirrors our own source, that is our deep heart, soul, spirit or true self. 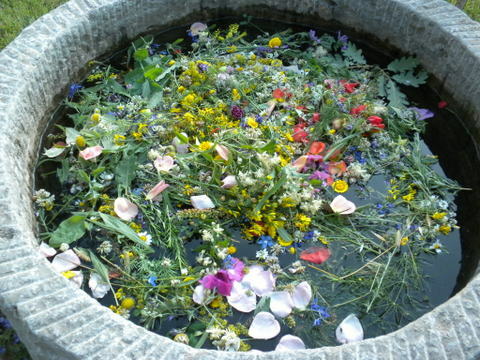 When we sit with this inner well we drink from our own ever flowing love, clarity and wisdom. 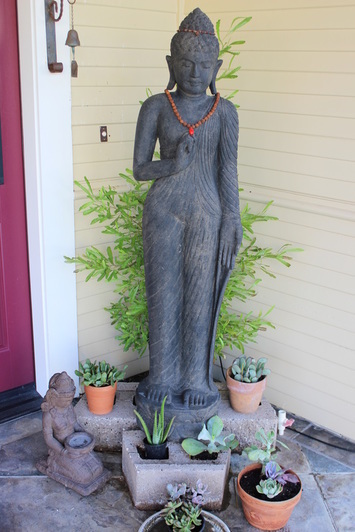 The Buddha sits in perfect stillness & peace, reminding each of us that we are this peace. When we practice this peace and hold it in the silent presence of the moment, we are giving the biggest gift we can to the world....the treasure of our inner beauty and true being. This exquisite statue is holding her hand at her heart. She is reminding each of us to capture our heart essence in the infinitely expanding moment, The heart is the entry, the doorway to inner peace and wisdom.